A Clear Reflection of Quality. Offering Cutting-Edge Glass Designs and Exceptional Customer Service to Contractors, Designers, and Homeowners for Over 54 Years. At Reid Glass, We Do Glass and We Do It Right! “I would absolutely recommend them to anyone!" We do one thing, and we do it well: glass! At Reid Glass, we stick to what we know, and we excel at it. 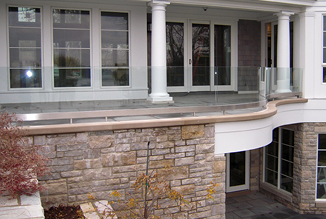 We are designers, manufacturers, and installers of custom crafted glass products. Our team is dedicated to craftsmanship, commitment, and quality, and we make sure that it’s seen in each glass item we make. We’ve designed hundreds of custom glass applications, including shower enclosures, mirrors, railings, glass doors, tables, countertops, and much more! We thrive on collaboration; whether we team up with your general contractor, architect or you (the homeowner), we make the process comfortable and relaxed. Our work is always outstanding, beautiful and affordable. We’ve been an authority in the glass industry since 1964 and continue to discover new ways to wow our clients! Whatever your glass needs may be, there’s a good chance that we can bring them to life! Our fully-licensed team services the entire Metro Detroit tri-county area; odds are someone in your neighborhood has had glass work done by us! We can provide any type of custom glass project, large or small, with ease. Our passion for glass and design is only surpassed by the quality of our products! Our clients initially come to us for our cutting-edge designs, but our dedication to craftsmanship and exceptional service keeps them coming back. We partner with home builders, remodelers, and designers to deliver crisp, clean, and professional results for projects of any scope or scale. Our highly-automated capabilities include intricate cutting, beveling, polishing, drilling, and sandblasting, to name a few. 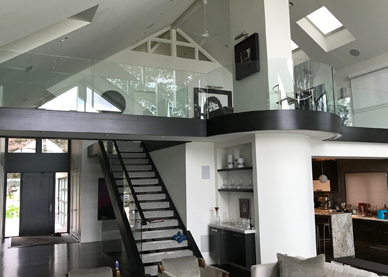 When you need custom glass work for your home, Reid Glass is the clear choice!